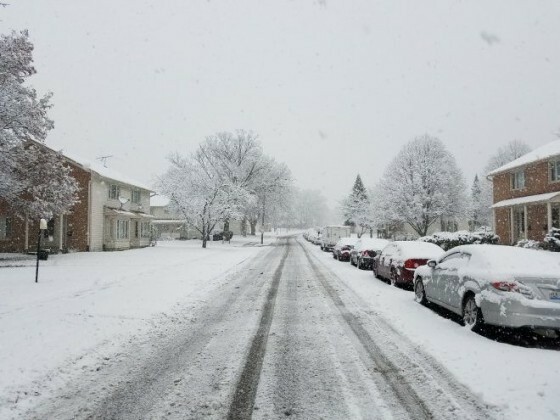 Park Forest, IL—(ENEWSPF)— Editor’s Note: We continue our reporting on news from police blotter reports. Besides covering the many stories from around Park Forest that otherwise might go unnoticed, we want to bring more complete coverage of police reports than is reported by other local media. A resident reported to police at the Park Forest Police Department on November 23 that she had used her work computer to apply for a Home Depot store credit card online. After she completed the application, her email was immediately flooded with hundreds of emails, including some from India and other locations out of the country. She subsequently learned that a transaction in the amount of $221.99 had been authorized against her account without her approval for Western Union. She asked that the information be documented with police, and is working to clear her account. A Samsung television valued at $500, a Sony PlayStation 4 valued at $400, a PlayStation 4 videogame, and miscellaneous amounts of jewelry are among items reported stolen during a residential burglary in the first block of Sauk Court on November 23. A neon lime green and silver bicycle with pegs and black handle bars valued at $150 was reported stolen from outside Family Dollar, 108 South Orchard Drive, on November 24. Police were dispatched to Illinois School, 210 Illinois Street, on November 24, in reference to a burglar alarm. Officers discovered damage to a window consistent with that of a BB gun. Police are investigating. A silver 2008 Chevrolet Malibu, Illinois license plate EXG815, was reported stolen from the 200 block of Allegheny Street on November 25. A U-Haul pickup truck which had been rented in Park Forest on October 16, 2016, and reported stolen on November 12, 2016, when the vehicle was not returned was recovered by the Duncanville Texas Police Department in Duncanville, Texas, according to a police report dated November 28. Police in Texas observed the stolen U-Haul commit a traffic violation, according to police. A felony stop was conducted and the driver and a passenger were taken into custody. Several illegal items and drugs were located in the vehicle as well, according to police. The vehicle was towed from the scene by the Duncanville Police Department, according to police. Willie E. Stokes, 59, 76 Elm St., Park Forest, was arrested on November 29 and charged with misdemeanor theft after police were dispatched to that address to investigate a report of theft. 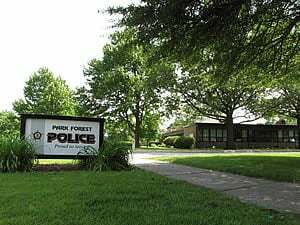 Police were advised by Park Forest Public Works that Stokes owed $233.25 to the Village of Park Forest for his past-due water bill. In October 2016, Public Works had placed a ball valve block on Stokes’s water meter. After monitoring water usage at that residence, Public Works learned that there had been $66.14 of new water usage. Upon visiting the residence, Public Works learned that the lock that had been placed on the water meter had been damaged and removed, according to police. A resident in the 300 block of Oswego Street discovered on November 29 that a door to her vehicle was open and items inside the vehicle had been misplaced after she was told that she had left the dome light on inside of her vehicle. When she opened the rear door of her residence to check her car, she observed a male subject standing in her driveway near the front passenger side of her vehicle. The man appeared to be in his early 20s and was approximately 6’0″, with a thin build. He was wearing a black hooded sweatshirt with white trim in the middle and had a deep voice. She advised the subject that there had been break-ins in the area, to which he replied, “Yeah, I’m not that guy.” The subject then walked away. It was then that the resident discovered that items had been moved around inside her vehicle. She also discovered that her outer kitchen window screen had been partially pushed up. Police are investigating. Delores D. Williams, 33, 1541 S. St. Louis Dr., Floor 1, Chicago, and Tameka L. Harris, 31, 946 North Ridgeway Ave., Chicago, were arrested on November 30 and charged with felony retail theft after police were dispatched to the Dollar General Store, 10 Main Street, regarding a report of retail theft. The arrests were made following an investigation which led police to the Steger Dollar General, according to police. Police investigated the rear of a residence in the first block of Monee Road on November 28 after receiving a call regarding a report of a suspicious person. Police discovered an open door to an addition that was added to a detached garage. Inside of the addition, was a red plastic chair and a black umbrella. There were wet leaves on the chair, however, there were no wet footprints on the floor. Police discovered no one inside. The investigation continues. Patrick D. Young, 39, 410 W. 34th St., Steger, was arrested on December 1 and charged with aggravated speeding, driving under the influence of alcohol, breath alcohol content greater than .08, according to police. An officer traveling north on Western Avenue approaching Illinois Street observed that the vehicle Young was driving southbound on Western Avenue from Illinois Street was traveling 66 mph in a posted 35 mph zone, according to police. This was at 1:43 AM, according to police. At 2:43 AM, Young was provided an opportunity to provide a breath sample to which Young allegedly agreed. Young’s breath sample yielded a breath alcohol content of .114, according to police. An police were dispatched to the 200 block of Miami Street on December 2 to investigate a suspicious package that was in the bushes in front of a residence. Police determined that the package, containing workout supplements, had been delivered to a residence and opened without permission of the resident. Police are investigating.